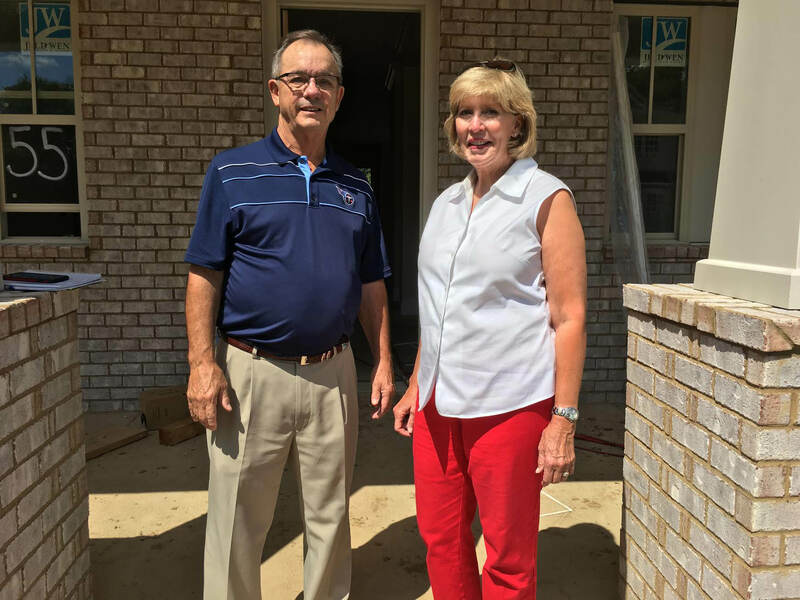 We check into the neighborhood for a visit with Mike and Judy Darnell as they build their beautiful new home and prepare for a much anticipated October move-in to the Durham Farms community. 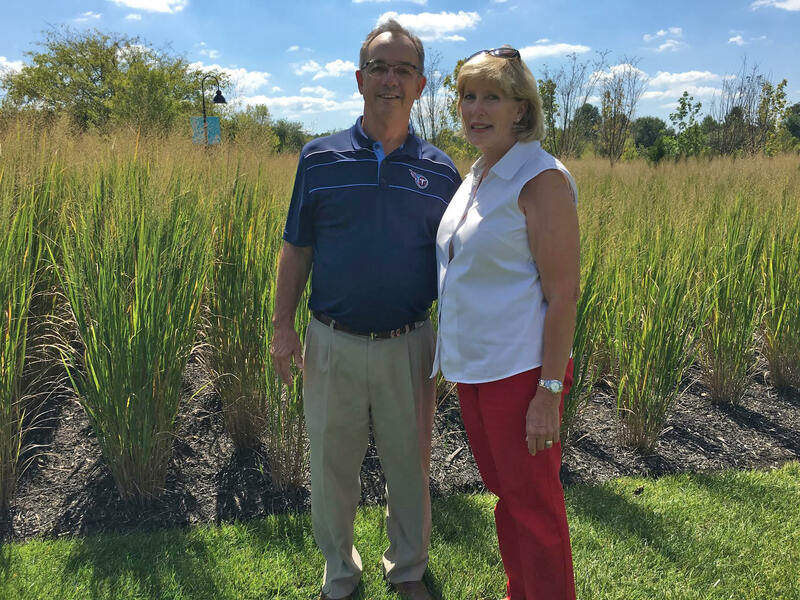 Soon to wave their long good-byes to Franklin, TN, Mike and Judy share with us a little bit of what is currently drawing them to this new lifestyle and growing Durham Farms community in Hendersonville, Tennessee. I was born in Philadelphia, ​Mississippi. Grew up near there for a while, then Birmingham AL for a good while, then lived in places like St. Louis, Baton Rouge and Memphis. Actually attended 5 high schools in 4 years, so I learned a bit about meeting people. I was born in Memphis,​ Tennessee​​. ​I grew up in a middle class home with 2 older sisters. My mother was a nurse and my father was a chemist and microbiologist. I graduated from Memphis State University in 1976 with a degree in nursing. I consider my childhood a lot like Leave It To Beaver! 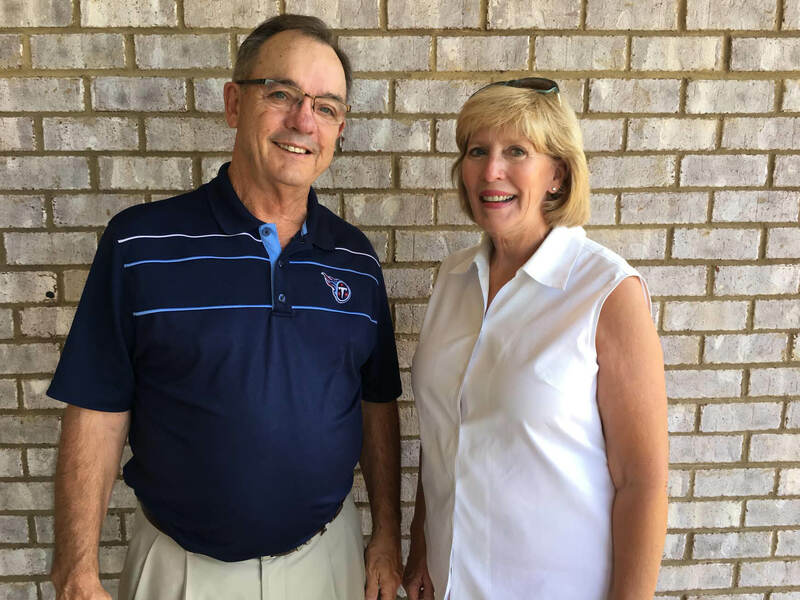 I sold my business in 1998 and Judy got a management opportunity here with a little healthcare company in Nashville called HCA. 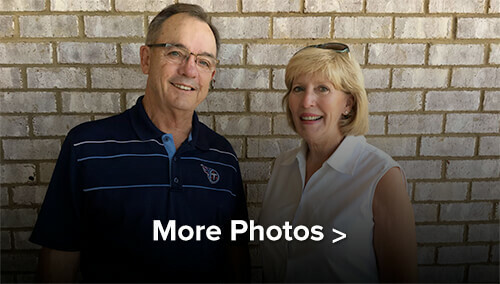 We moved to Franklin, TN from the Birmingham area in 1999. I was offered a management position with HCA (I had practiced nursing in one of the facilities in Birmingham AL where we had lived for 20 years) and moved to Franklin in January 1999. About 5:30 one morning, I saw an ad in the Tennessean about Durham Farms. About that time, my sleepy wife walks in, coffee in hand, and I said ‘well, I have found a place that we can downsize to’ and put the Durham Farms video in front of her. I was “kinda” joking when I said it, but, looking back, it was truly a stroke of luck. It fits us so well because it meets all of our needs in life at this time: near grandchildren, small yard, one level, active community. I can’t wait to move in. Hurry up October! Mike and I use to ask ourselves “if we sold our Franklin home, where would we move to? 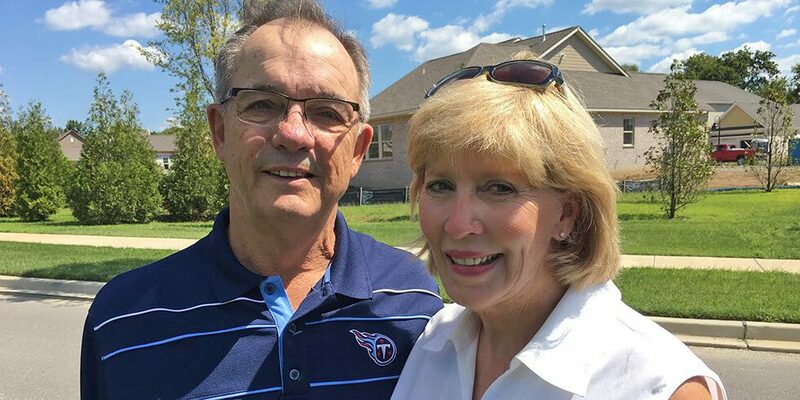 Our son and his family live in the Mansker Farms area, so it made sense for us to move to the Hendersonville area so we could be closer to Neil, his wife Whitney and 2 year old Emma. Mike saw an article in The Tennessean about Durham Farms and the rest is history! Why did it feel like a good fit for you? There were so many pluses about Durham Farms for us …. 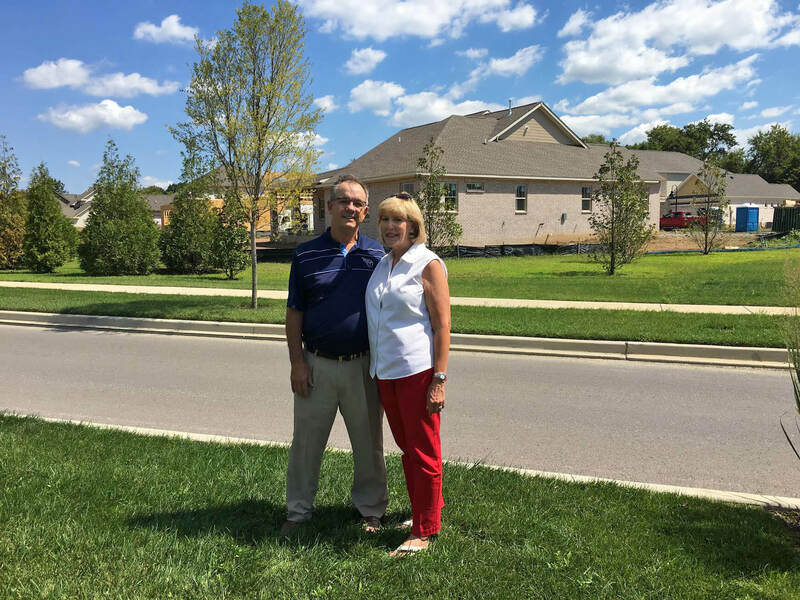 we wanted to downsize, we wanted a one level home, we wanted a smaller yard (we had 1 1/2 acres in Franklin) and we wanted an active type neighborhood where we could really get to meet and know our neighbors. It just seemed to be the answer we were looking for. 4. How does living at Durham farms square up with your professional life? Do you work nearby? Tell us a little bit about your commute. (Since you haven’t moved in yet, you can talk about why you’re moving here and what life will be like once you do). Living here fits well with my professional life as I am able to conduct business from anywhere, even though our office is in Cool Springs. 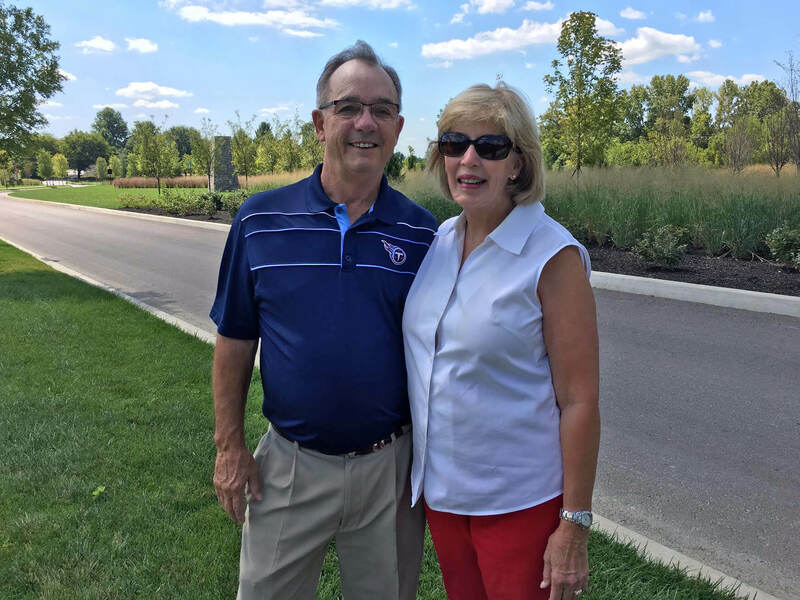 My business, Ameriprise Financial, helps people with estate planning, retirement needs and so much more, so I am always meeting new people to help. That commute is a sore subject for me right now, but I am getting over it. My whole career, to my families consternation, I have been close to my office, while they have had some form of torturous journey to work. So, they are smiling at my misery. But, alas, all is not lost. Cool Springs happens to be a longer commute for me personally, but Nashville is only just a short 20 minute hop away for everyone else. With the technology of today, we keep a virtual office here in Hendersonville that works quite well. I retired from HCA a coupLe of years ago so I don’t have any commute issues! 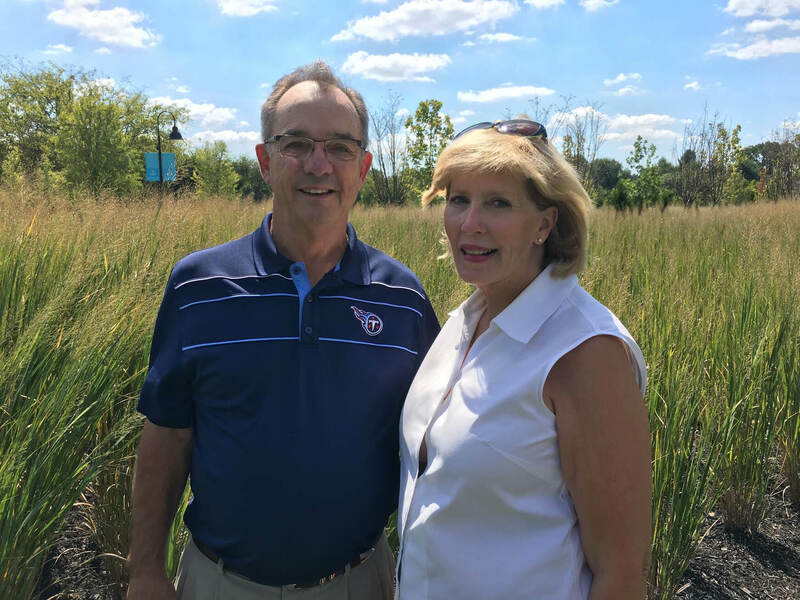 Love​ to play golf, and am very excited to have recently joined Foxland Harbor and, of course, enjoy the music scene in this area. And, now that I have moved here, I plan to become more acquainted with the water, fly fishing, kayaking… ​we’ll see. I love to just be involved in life but specifically I’m an avid reader, really enjoy cooking, love gardening and being outside doing anything, the Predators, Titans, Braves and Auburn. Most of all, I cherish time with my family. 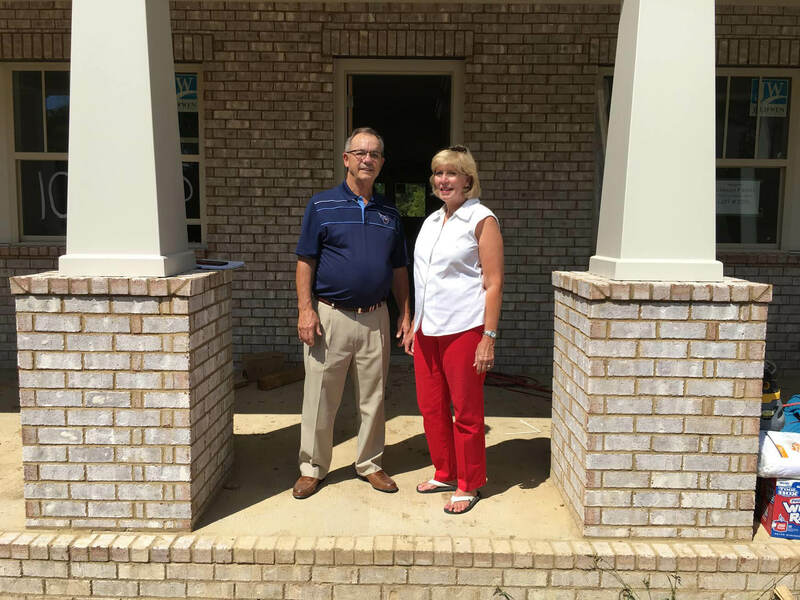 Our daughter, Laine, lives with her husband, Matt and their 2 boys, Sam and Luke in Birmingham, so we’re looking forward to their visits once the house is finished… next summer you will certainly see us at the new pool, splash pad and playground with Sam, Luke and Emma!